Following on from a successful promotion earlier this year at the Centenary of Military Aviation Airshow, the Australian Air League is looking to open a new Squadron at Point Cook, 25 km south west of Melbourne and close to RAAF Point Cook, the birthplace of the RAAF. A promotional display will be set up at the Town Centre Shopping Complex, Main St, Point Cook, on Saturday 12th July 2014, from 9am to 4pm for prospective new members, followed on with an open night for interested new cadets and their parents which will be held at the YMCA Hall, 63/65 Tom Roberts Parade, Point Cook on Wednesday 16th July 2014 commencing at 7pm. 2014 is the 80th anniversary of the Australian Air League, and the 75th anniversary of the Australian Air League in Victoria. Already the year has seen the opening of a new Squadron at Whittlesea, and later in the year cadets from all over Australia will travel to Canberra for the Australian Air League Review. 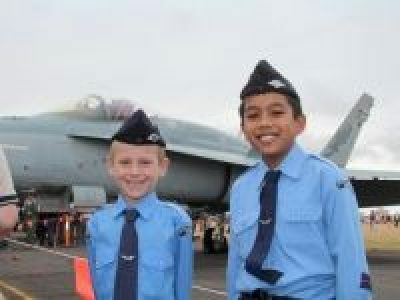 The Australian Air League is for boys and girls aged 8 years and older who have an interest in aviation either as a career or as a hobby. In the Air League they learn about aviation in all its forms through classes in theory of flight, navigation, aircraft engines and a variety of interesting subjects. With Squadrons in most states of Australia the Air League has been serving the community in Australia since 1934. It is entirely self-funding and is staffed by volunteers who give their time to achieve its goals.